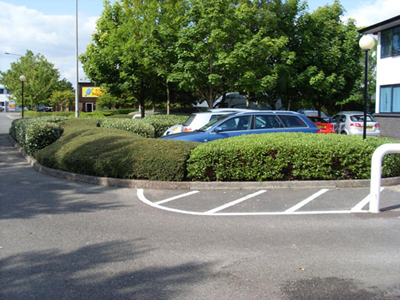 Acre Landscapes provide a complete grounds maintenance service suited to your individual requirements. Weekly/fortnightly/monthly visits can be scheduled to meet with your level of specification. Below is an example of one of our sites and a letter of satisfaction from the site management. As mentioned to you when we last met we had just held our annual general meeting of to Gloster Court owners and tenants. The landscape gardening on the site was discussed and in particular the considerable improvements that you have made since you took over maintenance of the site in April. Those present at the meeting agreed that a letter should be sent to you congratulating you on the standard of work that you have achieved for us. We look forward to continuing our relationship with you in the future. We have a growing portfolio of satisfied customers on our books taking advantage of our first class maintenance service. 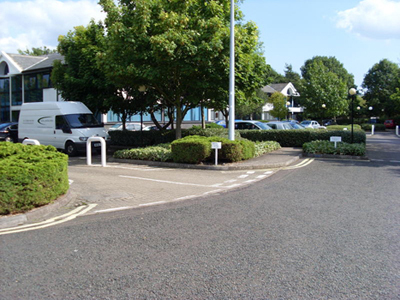 We can offer regular weekly/fortnightly/monthly or one off visits at a fixed cost. We understand every garden and owner has different requirements, so please give us a call to arrange for a maintenance schedule to be tailored to your needs. May I take this opportunity to thank you for all the hard work you have done while maintaining our garden for the last 4 yours. You have been very efficient, reliable and trustworthy with excellent gardening skills. I would be more than happy to recommend to any of your future customers for your services. 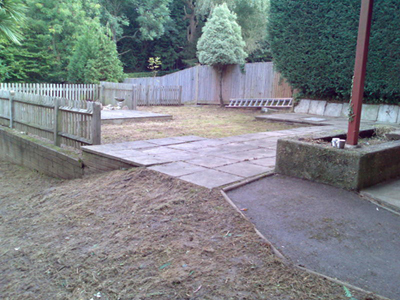 No matter what condition your garden has become, we can clear it and take away all debris. 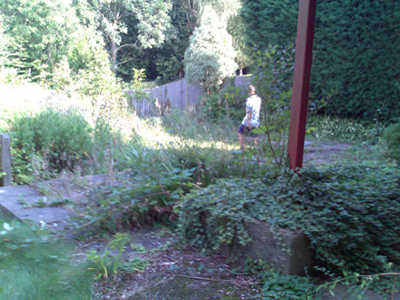 Below is an example of a garden we cleared for a customer in Chandlers Ford. Whatever the condition, we’ve seen worse!